Got skills? Let’s see ‘em! We got blown out by very windy west wind on June 12th, but tomorrow (Thursday, August 7th) looks good for another chance to show what you got! Come on out and bring the family and friends. We will be staring around 5pm. Same rules and prizes apply as shown previously below for this spot landing contest. We’ll have transportation running to the top for HG’s and PG’s. 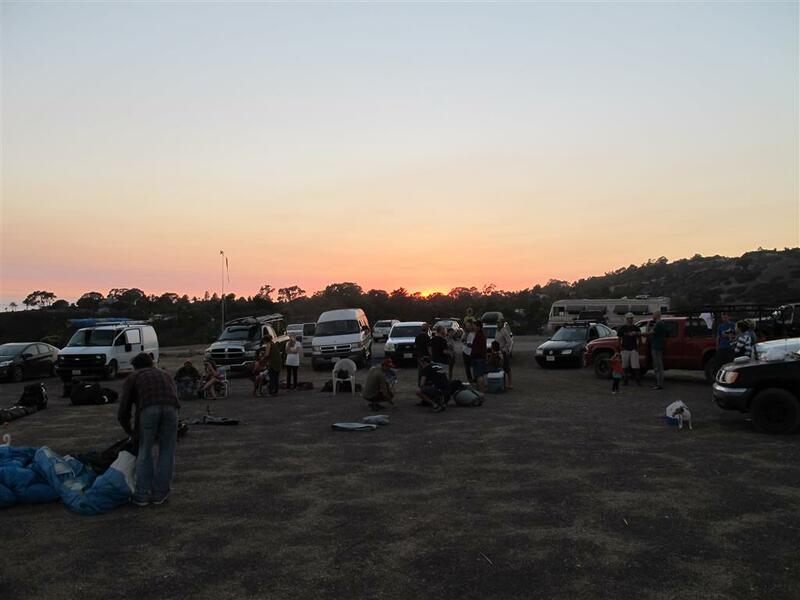 Sunset viewing and some beverages to follow the contest. 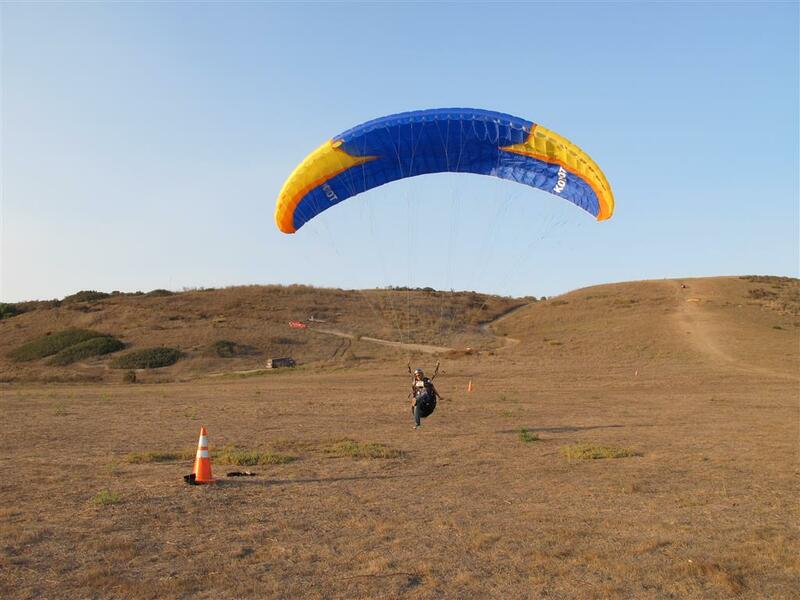 We will be having another spot landing contest at Eling’s flight park (training hill) starting at 4:30pm on this Thursday, June 12th. Everyone is welcome to come out and enjoy so bring your family and friends. Plan is to have a little happy hour sunset watching following the contest. Come on out and try your spot landing skills. We will have some greats prizes to give away (see below) for those that come the closet to the target. Markers will be provided. 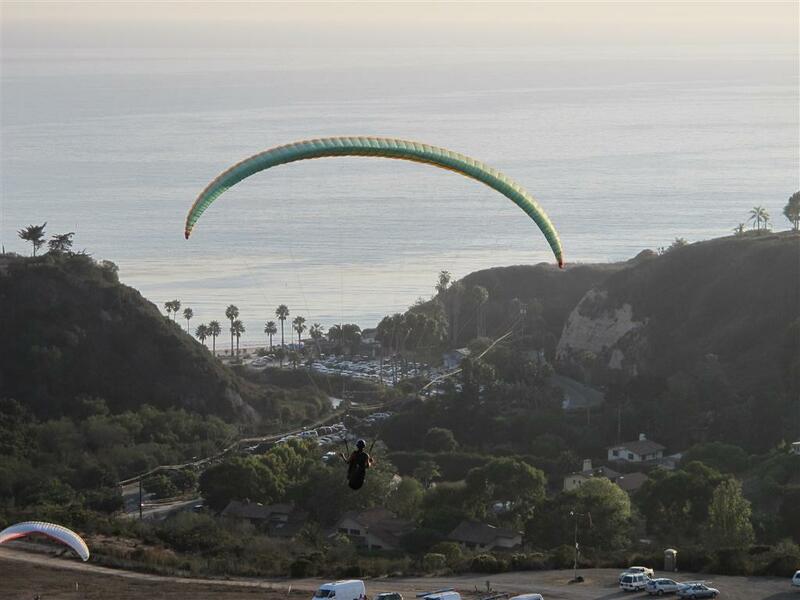 Hang Gliders and Paragliders will each be a separate contest. We will have 1st, 2nd, and 3rd place prizes for both. Safety first, this is a skills contest so don’t do something crazy to try to win, we don’t want any injuries just good times! 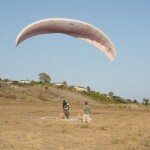 The point of landing will be considered to be the first point of contact with the ground if the pilot is approaching the target. If the pilot is leaving the target, the landing point will be the place where the pilot stops his forward progress. You must land on your feet, on your bum or rolling it in does not count. In the case of a tie for first, a coin will be flipped and the loser will move to the next place. I.e., Tie for 1st, coin flipped, loser gets 2nd place and current second place moves to 3rd. Same rule applies for ties for 2nd and 3rd. We will start at 4:30pm and end around 7pm (if students are still flying, please give them priority and stay out of their way). If you can’t get it to the hill right at 4:30pm then come when you can, you will still be able to enter and try your skills. You just may not get all 3 flights. Hope to see all of you out there this Thursday! 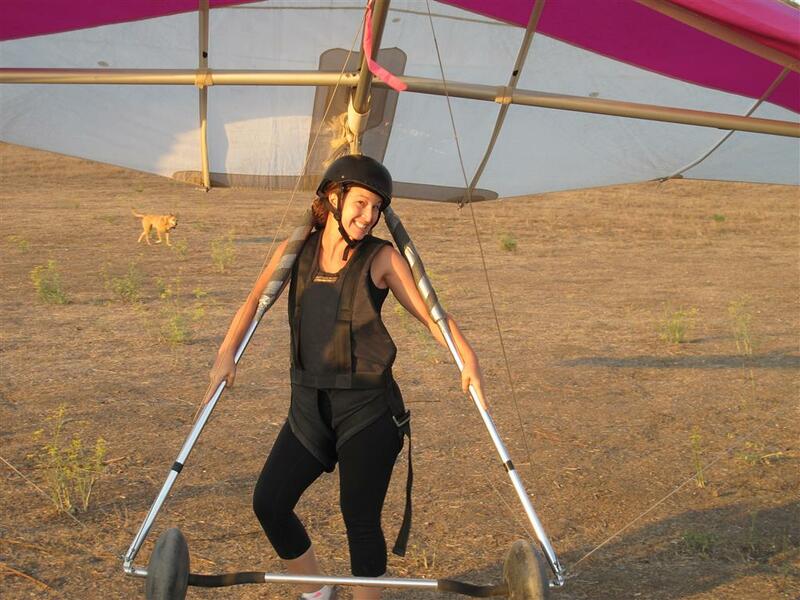 Here’s a few pictures from the spot landing contest in September 2013. Will Willy or someone with a rig like his be providing rides up the hill for the divers? I’m probably too lazy/wimpy to haul mine up that hill three times! Probably! Yes, Willy’s truck will be doing laps for the contest! 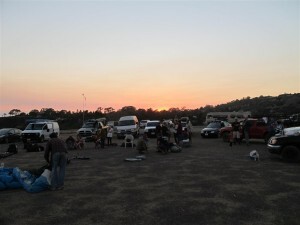 The club will also provide some beer and wine after we are done flying for the sunset. Eagle Paragliding field trip to Marshall We have some winners!